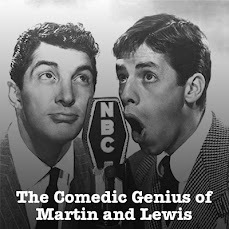 This time around on our Martin and Lewis Old Time Radio Podcast, from an April 7th, 1953 NBC Radio Network broadcast, Dean and Jerry welcome Mitzi Gaynor to the show. Dean sings Sposin' and All That I'm Asking is Sympathy and I Wished on the Moon. Save 10% on your purchases at PETCO.com with our PETCO Coupon Codes. DEAN10 saves you 10%, and if your order is $65 or more, you'll get free shipping to boot with code DEAN.